Driving bans on older diesels in German cities such as Hamburg (shown) are expected to hit the powertrain again in 2019. Diesel sales are expected to decline in Europe this year, but a regulatory crackdown could help to mitigate a crisis that threatens the industry’s ability to meet tougher EU-mandated CO2 emissions reduction targets that start to take effect in 2020. Although diesels pollute the air with harmful nitrogen oxides (NOx), they are about 15 percent more fuel efficient -- resulting in less CO2 -- than equivalent gasoline engines. That is why diesels have been a crucial pillar in automakers’ midterm strategy to lower their carbon footprints. The key to reviving diesel sales, the industry believes, could be an upcoming deadline to ensure that all new cars sold in Europe comply with the Euro 6d-temp classification. By September, every new diesel-powered car sold in Europe has to pass a strict homologation test that ensures on-road NOx output does not exceed 168 milligrams per kilometer, down from the 600mg/km or more as measured by environmental groups for older Euro 6 diesels. The Real Driving Emission (RDE) test is the first substantive regulatory change specifically designed to clean up diesels and put an end to manipulating, legally or otherwise, emissions numbers since the Volkswagen Group’s diesel-cheating scandal erupted more than three years ago. So far, the RDE test and classification was only mandatory for entirely new vehicle types, giving automakers two years to prepare their diesel fleets. “We do see some stabilization [of the diesel decline] in Germany, especially with the new Euro 6d-temp compliant engines,” BMW brand sales chief Pieter Nota told Automotive News Europe. 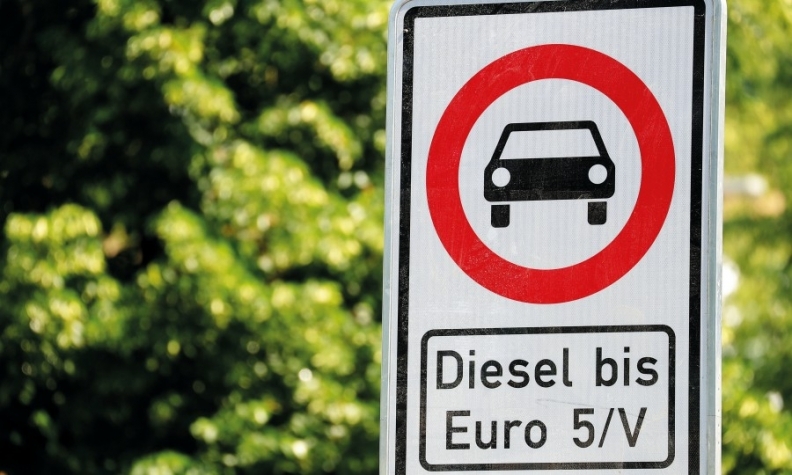 While the VW scandal caused some people to think twice about purchasing another diesel, plunging sales of the powertrain were sparked more by European municipalities threatening bans to meet mandatory EU air pollution targets. Other factors have contributed to the drop, such as a decline in diesel used-car prices that spooked private customers and fiscal policies that stripped diesel cars of their beneficial tax treatment. New after-treatment systems such as selective catalytic reduction will drive up the already comparatively high cost of a diesel model. But the industry has coped with issues like this in the past. “There were similar predictions years ago that Euro 4 or Euro 5 would add so much cost to the vehicle that it would kill the diesel,” LMC’s Bedwell said. That change was not seen during the first nine months of 2018 as registrations of new diesel models fell 17 percent to 4.32 million cars in Europe. The downturn in the UK worsened after the government raised vehicle excise duties on diesels last April to pay for air quality improvement measures. LMC’s Bedwell estimates diesel sales will drop by 350,000 in Western Europe this year following a 1-million-unit decline in 2018. Kia Europe Chief Operating Officer Emilio Herrera agreed that diesel demand will decline further in 2019. “In the end, the European share will stabilize at about 30 percent,” he told ANE. Some executives are even less optimistic. Volkswagen fears little can be done in the short term to change perceptions.